The “DFB Guide to the Walt Disney World Holidays 2013″ Grand Launch and Discount! Tis the season to eat, drink, and go to Walt Disney World! And that means it’s time for the Grand Launch of the DFB Guide to the Walt Disney World® Holidays 2013 e-Book! We’ve been busy updating all the latest holiday tips and brand new info you NEED to know before you hit the parks this November, December, and January! With 270 pages of detailed information and multiple bonus extras, it WILL save you time and money during the busiest season in Walt Disney World! And it’s here just in time! The DFB Guide to the Walt Disney World Holidays 2013 e-Book Is Here! You’re probably paying a lot of money for your Disney holiday vacation…and we’re here to make sure you get the biggest bang for your buck! And with the holiday season already here, the time is now! Booking early for holiday events and dining is critical, and our exclusive holiday dining and event information is the most efficient way to plan your holiday strategy. On a budget? Find out how to make those dollars stretch all around Disney World. As always, we’ve made this guide instantly downloadable for your convenience. 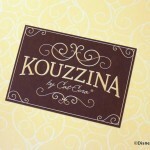 It’s easily installed on your mobile devices. And this guide is guaranteed to help you better plan a memorable holiday trip, or your money back — we all know that your vacation time (and budget) are limited and we want you to get the most out of your visit! Once again, celebrate the grand launch with us by getting $3 off the purchase price for the e-Book TODAY! Order your copy now for only $11.95 (regularly $14.95). To secure the discount, use code JINGLE at the check-out. 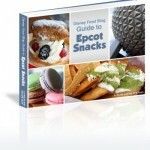 The “DFB Guide to the Walt Disney World Holidays 2012” Grand Launch and Discount! 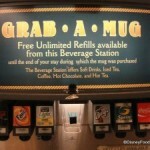 The End of Refillable Mugs in Disney World? 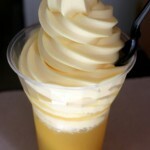 Reader Question: Is Dole Whip Vegan and Gluten Free? I preordered this a while back (granting me access to the previous year’s book while I waited)… I devoured the 2012 book. This is the BEST, most COMPLETE guide to everything Holiday related at the World. I was SO excited to get the email that the 2013 book is now available!!! Merrick — Wow!! Thank you SO SO much for the kind words!! Much appreciated; and thanks for supporting DFB! I was wondering will there be a 2014 Hoilday Guide if so when will it be available or should I purchase the 2013 holiday guide traveling to WDW the week of Christmas 2014. Thanks! Lisa — Buy the guide now and you’ll get the 2013 guide immediately. Then we’ll automatically send the 2014 guide when it’s released! It’s two for one!